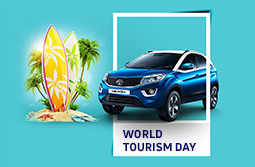 With a portfolio that covers a comprehensive range of cars, trucks, buses, defence vehicles and more, Tata Motors Limited is recognized as one of the leading automobile manufacturers in the world today. Commencing operations in 1954 with Commercial Vehicles (CVs) in India, the company’s marque can now be found both on and off-road in over 175 countries around the globe. Here’s how Tata Motors went from being an Indian company to the globally recognized brand that we know today. 1991 – Tata Motors entered into a Joint Venture (JV) with Nitol Motors to set up NITA Company Ltd., the first assembly set up of the company outside India. In the years to come, Tata Motors grew its assembly operations in different forms across Myanmar, Vietnam, Bangladesh, Ukraine, South Africa, Kenya, Senegal, Nigeria & Tunisia. 1993 – Tata Motors sets up a JV with Cummins Engine Inc. The tie-up enables Tata to introduce powerful diesel engines with far lesser carbon emissions. 2004 – Tata Motors rings the opening bell at the New York Stock Exchange in this year, marking the listing of the company on the bourse. The company also acquires South Korean truck manufacturer Daewoo in this year. Together, they unveil the Tata World Truck range for sale in South Korea, South Africa, SAARC nations and the Middle East. 2009 – Tata Motors acquires the Spanish bus and coach manufacturer Hispano Carrocera. Starbus and Globus range of buses, manufactured by this new venture, rolled out in the coming years. As of today, the commercial vehicles wing of Tata Motors can be seen in over 46 countries of Africa, ASEAN & Far East, Latin America, SAARC and the Middle East. 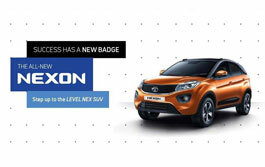 Tata Motors’ mission “to be passionate in anticipating and providing the best vehicles and experiences that excite customers globally” has enabled it to make its presence felt around the globe. Thanks to its commitment to excellence, the company has set its sights on expanding its CV and PV operations in several other countries around the world. Success-that feeling of achievement for which you have worked so hard. Often, it is marked.. 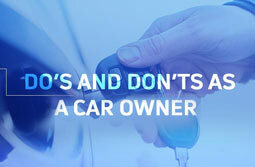 Your safety and that of your co-passengers is what you must consider before embarking on..